The default shell that is installed on Ubuntu Linux is bash. Alternatives exist, but they’re beyond the scope of this tutorial (check our post here for more info on how to isntall a better alternative to bash called Zshell or zsh). Bash is available on almost all Linux distributions, so this tutorial will work on most Linux distributions as well. and it’ll either autocomplete fully or if there are still more folders (like my234 and myfolder1), it’ll show you your options. You can enter multiple commands by separating them with “;” or “&&”. ; allows commands to run one after another, && runs next command only if first succeeds. For clarity, we will focus only on single commands. ls Lists all the files and folders in the current directory. cd Changes directory. To go up a directory, its cd .. (two periods). cd with no parameters sends you to your home folder. Using ~ will change you to your home directory and – will return to your previous working directory. cd ..
rm Deletes files. Will delete folders recursively too with the -r option. !! Re run the last command. nano The easiest command line text editor. No arguments opens it just like opening notepad.exe without opening with a file. tail Print the last n lines of a text file. Super useful for log files. less Allows you to view a text file without editing it. 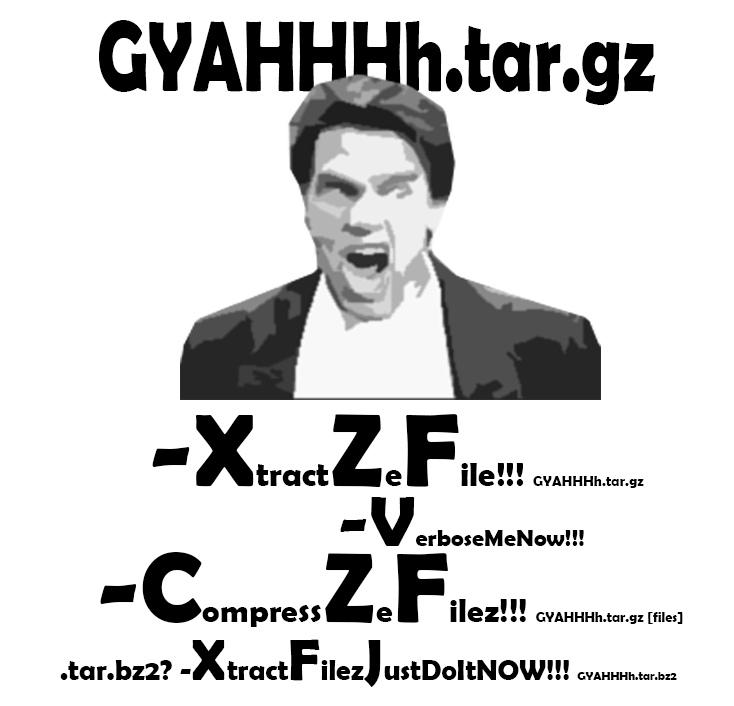 tar Extract files from tar archives. touch Create an empty file with the specified name if the file does not exist. ln Used for creating links (shortcuts) in the filesystem. screen screen let’s you run multiple login sessions in the same terminal. Say you want to run a process, you can launch it through screen, detach it, and then later come back to the same process. apropos Find commands that do a given task, Will return a list of commands that have the searched parameter in their man file. Unlike Windows and DOS, Unix systems and Linux do not have drive names. Your thumb drive will be mounted as a “folder” on Linux – Instead of being F:\ on Windows, it would be /media/<username>/my_thumbdrive, assuming that is the device name on linux. On Ubuntu, drives are usually mounted in the /media folder under your username. All your shared folders in Virtualbox will show up there, but not under your username. aptitude Launches the synaptics package manager – good for searching for packages. Can be run without root, but you can’t install anything without running as root. On your own machine, you have full root access, but on a work machine you most definitely will not. Having a python virtual environment allows you to install as many python packages with pip as you want, without needing to run sudo pip install <package>. There are three types of pipe characters: <, >, and |. < is difficult to explain, so I left it out. This post and ubuntu / Linux / bash intro tutorial is based on work by mcvittal of reddit who licensed it under the WTFPL – Do What The Fcuck You Want To Public License. This post is here for archival and informational purposes.